Easy summit in the shadow of Sawel. The obvious way to climb Dart is from the road at H5894 9691 A, where there is a limited amount of parking. 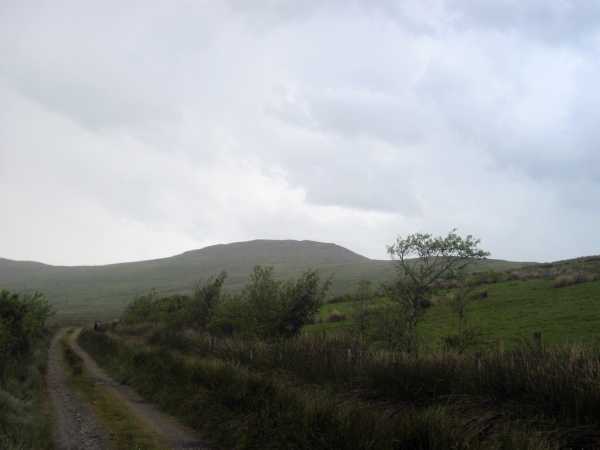 This point is at around 438m on the crest of a road that goes across the Sperrins. The walk to Dart is around 1.4k over rough heather and coarse grass. Another way to reach Dart is from Sawel which is nearly 2k to the east. The northern side of Dart has some crags. 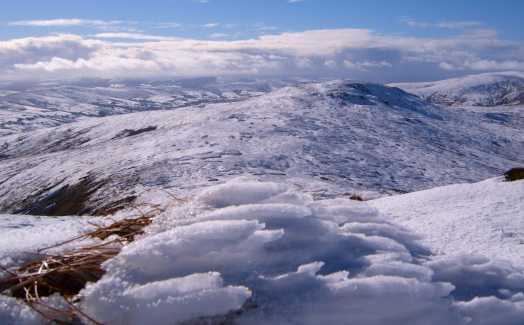 Views from the summit are substantial though Sawel is in the way to the east. Dart is invariably tied at the hip with its bigger sibling (Sawel) and the join between the two is a defining feature in views of the Sperrins. Sawel has the kudos of highest and two county tops - somewhat greedy perhaps in taking the attention from those who may venture this way. All I can say is that they are at their best when experienced together. Start at Sperrin Heritage Centre carpark ( 607936 D ), turn right and follow road along Genelly Valley for 10 minutes until come to a lane on the right ( 597933 E ) with a dead end sign. Climb up this lane and views quickly open out over the southern side of the valley. 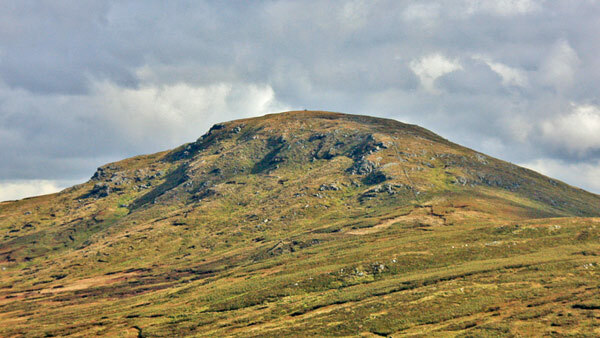 As it levels out at around 300m the mountains of the northern side come into view, with the parallel road to Dart Pass below ,across Oughtboy Burn. Cross gate and strike off right onto open hillside for the shoulder of Dart. 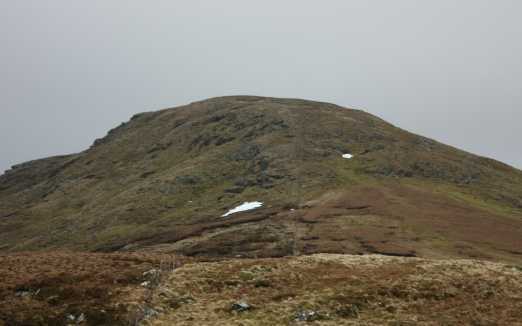 The climb is by way of a couple of steps between level areas before the short climb over rockier ground to the summit cairn, reached in 1h 20 mins. There is a great view in all directions but especially west to Mullaghclogha and its steep slopes. Head north east with a short drop down into a broad col - with 1 km before the climb up the large bulk of Sawel, following the fence for short while but continuing straight when it veers off right. 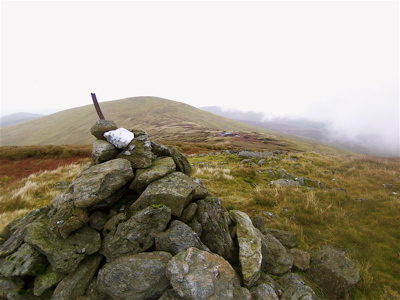 The climb up Sawel is straight forward and on reaching the trig point the view west to the remainder of the range comes into sight. There is a long but gentle drop down from the summit to the road at Sawel Pass. The going all along was firm due to the recent dry spell but it would be a different story under normal conditions.